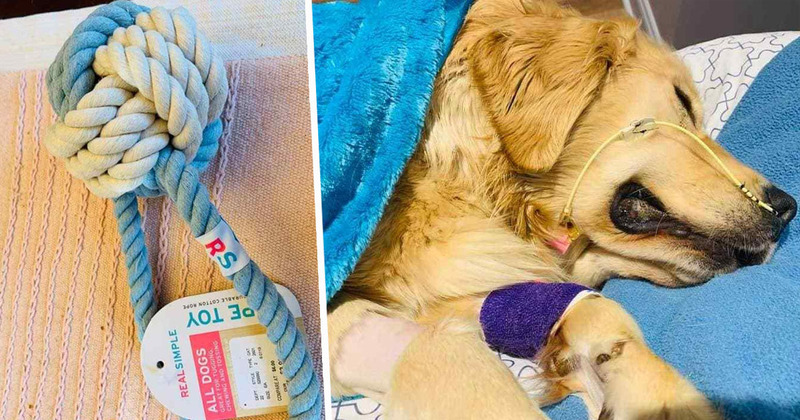 A pet owner’s heartbreaking warning to others about rope toys has gone viral after her dog died a ‘senseless and avoidable death’. 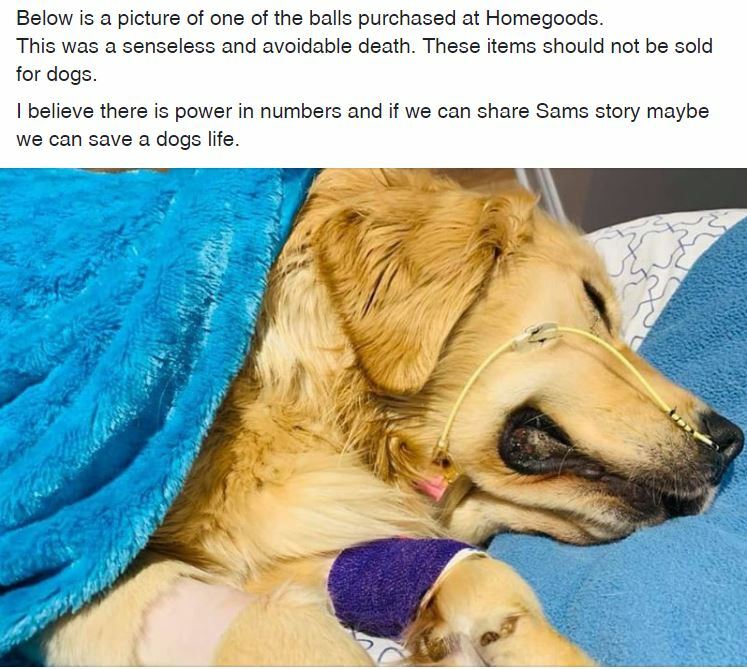 Indria Tuckler, who breeds golden retrievers, bought several ‘sturdy looking’ rope toy balls for her dogs believing them to be ‘impossible to destroy’. However, the breeder noticed the toys had been torn to pieces later that same day and threw them away, hoping none of her dogs had swallowed the pieces. Tragically, one of the dogs – a pup who was just one year old – had eaten three feet of the rope which had then unravelled inside her. She died two days later. 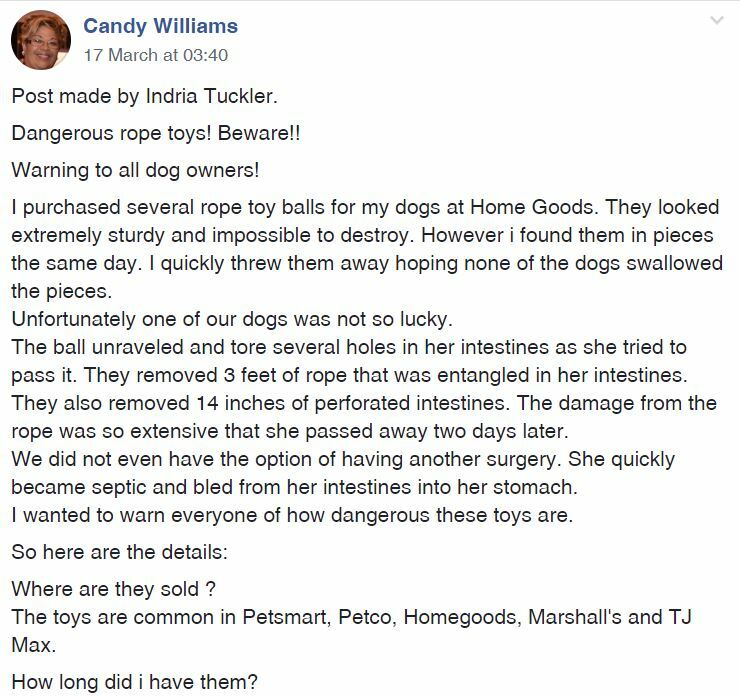 In a post which was shared on Facebook group Vizsla Dog Lovers, owner Indria warned other dog owners about the dangers of purchasing similar toys for their own pets. 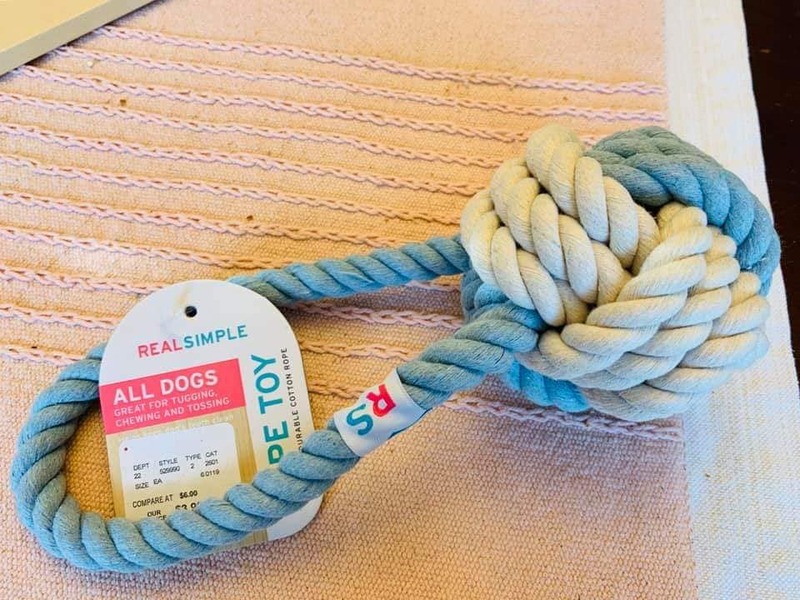 The rope toys are extremely popular among pet owners and are sold in various reputable stores across the world. However, Indria hopes their tragedy will serve to warn others of just how dangerous these toys really are. Noting what symptoms to look out for, these include vomiting, diarrhea, excessive water consumption, and not eating, Indria warned these may be mistaken for a common stomach upset or parasites. 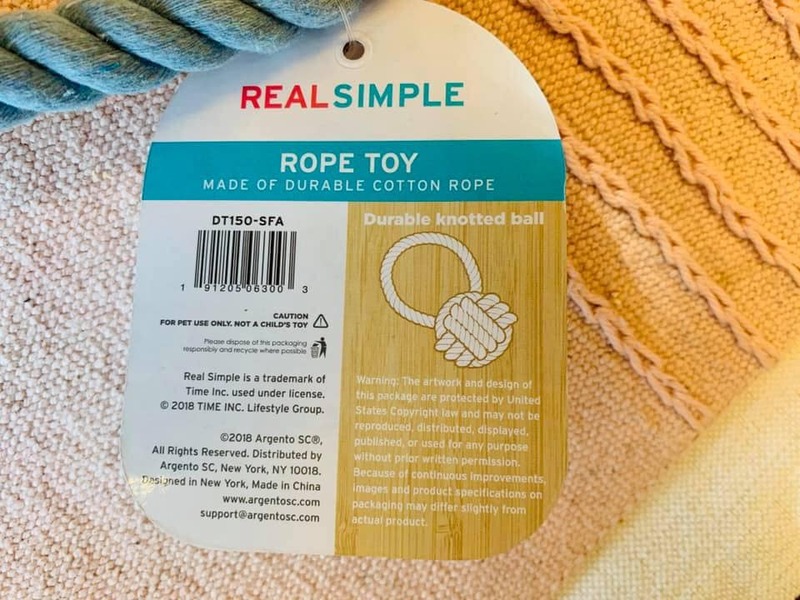 Although rope toys seem like a harmless thing for dogs to play with, the danger occurs when the ball unravels and the dog then consumes several feet of rope – which is exactly what happened in this case. 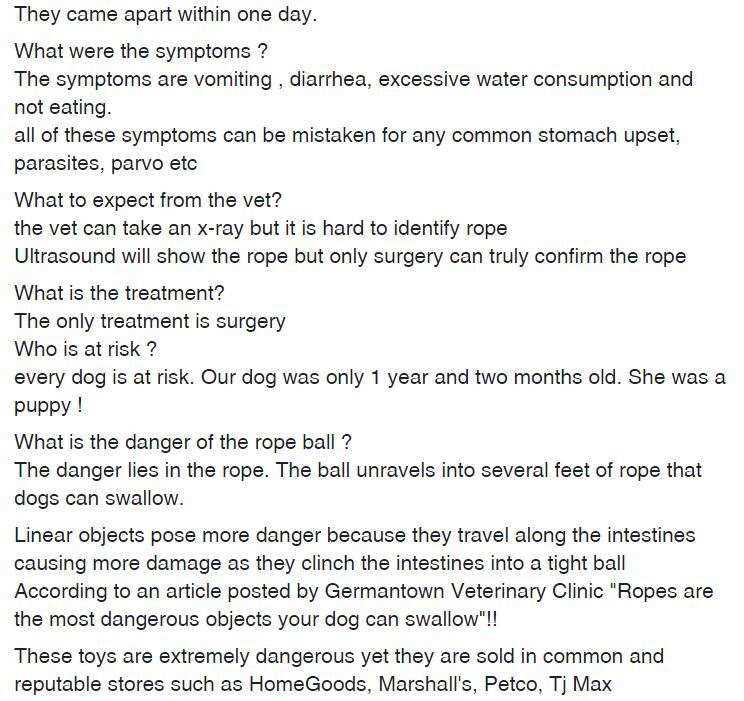 According to an article posted by Germantown Veterinary Clinic ‘Ropes are the most dangerous objects your dog can swallow’!! Adding this was a ‘senseless and avoidable death,’ Indria ended by saying these toys should not be sold for dogs.